3. Our physicians make house calls! Each physician is board-certified and holds a specialty in hospice and palliative medicine. They provide services not only in the home, but also in contracted nursing home facilities and hospitals. 4. Shangrila Hospice tries to anticipate your every need. With our bereavement counselors, chaplains, social workers, nurses, and volunteers, you can be assured that should you, your family or your loved ones have a need, we have the resources available to help you. 5. Through our Volunteer Program, you can help make a difference. Visit our Volunteer pages, or contact us today for more information. We consider our volunteers an important part of the hospice team and some of our volunteers are retired; others are students or professionals who have full time jobs. We even have volunteer positions for those are disabled and bedbound. 6. All of our Shangrila Hospice volunteers have received comprehensive training that prepares them for caring for those who are terminally ill. Some of our volunteers wish to be trained in bereavement and working with those who have suffered a loss and are in grief recovery and need extra support. We will match your talents and interests from the large variety of volunteer requests. 7. In every area of hospice care, our staff go the second mile for our patients. The desire to do more can be seen in the passion and commitment of our staff and volunteers. It can also be measured by the services we offer, which go above and beyond what many other hospices offer. 8. Our Spiritual Care and Bereavement Team have some of the most dedicated and experienced hospice staff, and know that no two people grieve exactly the same way, but we know that there are some common feelings to the loss of a loved one. Some of these feelings maybe overwhelming and your bereavement journey may go different directions. 9. The tributes and rituals that are used to say good-bye are important parts of the grieving process. Our chaplains and bereavement staff can help you with those decisions and help you create a lasting memorial tribute to honor your loved one. These are complimentary for our hospice patients and their families. We can help you paint a picture of a life that was well-lived and well-loved. 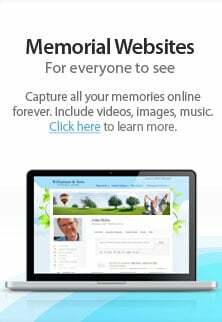 We can connect families and friends at a very difficult time and keep them connected through our complementary web pages for a long time. You can help us share their story. 10. Since hospices do not compete on the cost to take care of a patient, it is easy to measure the success of a hospice by their reputation and the word of mouth success stories throughout their communities that they serve. Shangrila Hospice has many success stories and recommendations from the many families that we have served.